Variety of perfumes with natural ingredients in Online health store "Zdravnitza". Based on a unique formula that neutralizes odors and inhibits perspiration without blocking skin pores. Available in two aroma: Fresh and Romance. 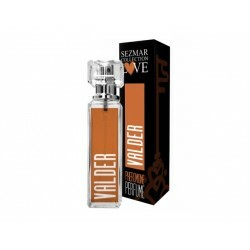 Delightfully perfumed, it promotes a fresh feeling that lasts for hours. Fortified with Dead Sea minerals. Unique exposure of exotic flavors. Sweet and fresh breeze like night air. It's a perfume that will dress and undress you. 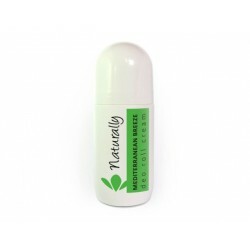 Natural deo roll cream Mediterranean Breeze wıth antioxidant and anticeptic properties. With essential oils for fragrance. Natural deo roll cream White Freshness wıth antioxidant and anticeptic properties. With essential oils for fragrance. To smell good, feel good and look good. Natural deo roll cream Citrus Zest wıth antioxidant and anticeptic properties. With essential oils for fragrance. To smell good, feel good and look good. Natural deo roll cream Aqua Kiss wıth antioxidant and anticeptic properties. With essential oils for fragrance. To smell good, feel good and look good. Natural deo roll cream wıth antioxidant and anticeptic properties. With essential oils for fragrance. To smell good, feel good and look good. Stylish and distinct. Reveals a sense of stylish and charismatic, strong and sensual, full of taste, confidence and extraordinary charm. Enriched with pheromones. Designed to stimulate the senses and balance internal energy, marked by a sense of freedom, power and energy. With a slight vanilla flavor, wood elements, cassis (blackcurrant), clove and sweet motifs of exotic fruits. Perfume, who loves you, dress and undress you.